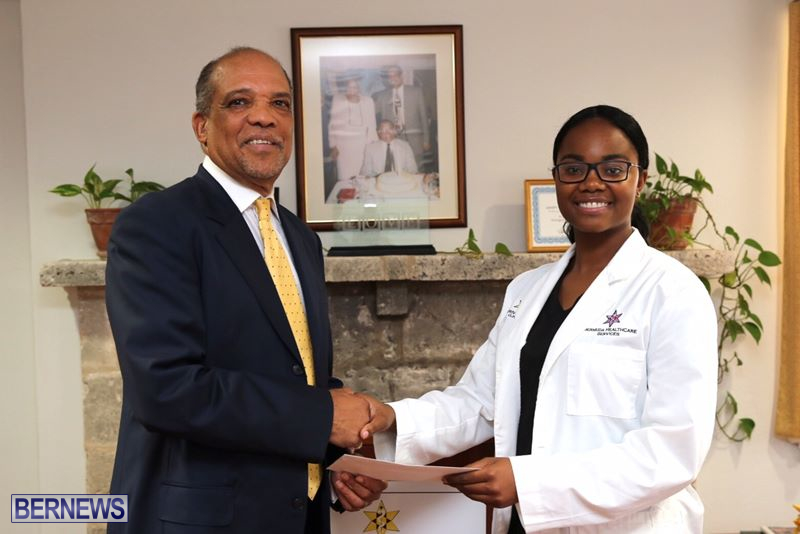 Yesterday [June 23] at Brown-Darrell Clinic, Chioma Nwasike was officially presented with the 2016 Brown Family Scholarship, receiving $5,000 towards her studies at Howard University. 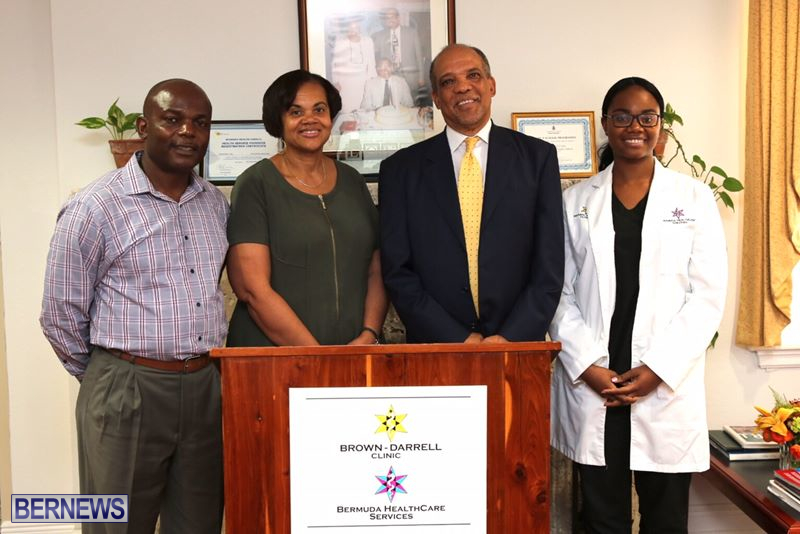 Established by former Premier Dr. Ewart Brown, his sister Emelita Johnson, and his niece Dr. Kim Robinson, the scholarship is intended for Bermudian Undergraduate or Post Graduate students pursuing studies in Health Sciences, Dentistry, Nursing and Medicine at Howard University, Dr. Brown’s alma mater. Chioma Nwasike is a former Head Girl of the Berkeley Institute and a May 2016 graduate of Dalhousie University in Nova Scotia, Canada. Ms. Nwasike holds a Degree in Biology, and will be attending Howard University’s School of Medicine in the fall. Congratulations and do well at Howard University! !